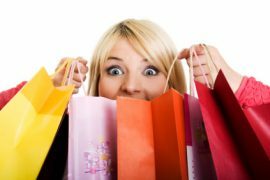 For many high school seniors, choosing a university can be as fun as it can be scary! When I applied to IU, I knew that if I got in I would look no further for my future home. IU is such a special place and some people don’t realize it. 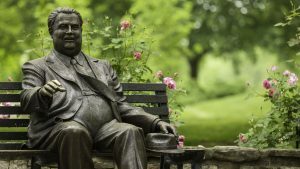 Yes, there are those facts they give you on the visits about Herman B Wells and the alumni base. But why is IU so special to me? It all started with Traditions & Spirit. So yeah, I had this awesome experience as a high school senior but is IU still home for me now? The answer to that question is simple: of course! IU has so many opportunities for its students. As a first semester freshman, I have had so many opportunities already. 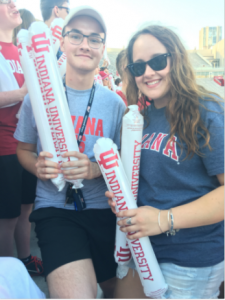 I am in the Biology Club, where we volunteer around Bloomington and the science community; I am participating in IU’s Dance Marathon; I participated in the Intensive Freshman Seminar (IFS—there will be a post soon about this! ); and I am also involved in intramural basketball. For some people, they would argue that you choose a school because of academics, location, etc. Well, IU is a top-ranked school in the perfect location. In Bloomington, you will never find yourself bored or tired of the town. There is always something to do! Overall, IU is an amazing place where you can meet so many amazing people. I have met some of my best friends for life already and I can’t wait for the next three and a half years. Go Hoosiers! One of my best friends and me at my own Traditions & Spirit my freshman year. If you can go, I definitely recommend it! So much fun! I am a freshman human bio major at Indiana University Bloomington Class of 2021! 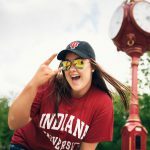 Being almost a townie and familiar with the area, I'm so excited to share all of my tips and tricks of IU and the memories I make through my four years! Go Hoosiers!